The Highway Code rules for motorcyclists, including helmets, carrying passengers, daylight riding and riding in the dark. These Rules are in addition to those in the following sections which apply to all vehicles. See ’Motorcycle licence requirements’. You MUST NOT carry more than one pillion passenger who MUST sit astride the machine on a proper seat. They should face forward with both feet on the footrests. You MUST NOT carry a pillion passenger unless your motorcycle is designed to do so. 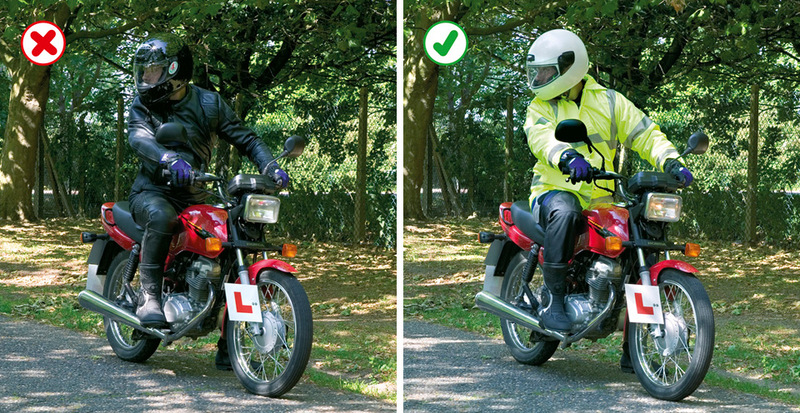 Provisional licence holders MUST NOT carry a pillion passenger. Riding in the dark. Wear reflective clothing or strips to improve your visibility in the dark. These reflect light from the headlamps of other vehicles, making you visible from a longer distance. See Rules 113 to 116 for lighting requirements.